With their striking orange and dark striped coats, tigers are among the most recognizable and beloved animals on the planet. They are also among the most at-risk. Tiger numbers have been on the decline for the past century. In 1900, an estimated 1000,000 wild tigers roamed the globe. Now only an estimated 3,200 exist in the wild. Scientists say that tigers are at an existential “tipping point”—a critical time when, unless significant protections are put in place, these big cats could soon face extinction in the wild. 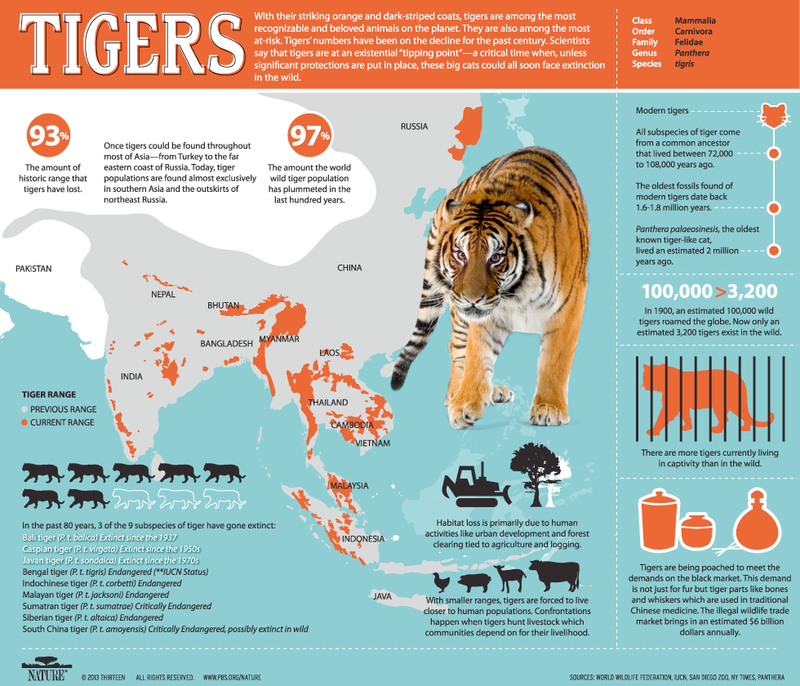 This infographic looks at current tiger numbers and why the big cats are on the decline.